This drill will teach you to generate power by using the feeling of throwing a ball. Below, TG Top 50 coach Gareth Johnston gives you eight key points to follow. Your goal on this drill is to get the ball skipping down the fairway, bouncing-bomb style, as fast as possible. Spend a little time working out how to achieve this. If you can move from the ground up, you'll create more speed and power. You'll feel that when you create your maximum speed, your hand and arm feel like they release the ball after your body has moved through. This relates to the golf swing's "late hit", the body pulling through the arms and then the club. This drill asks you to throw a ball as hard as possible down your target line, but from a golfing motion. 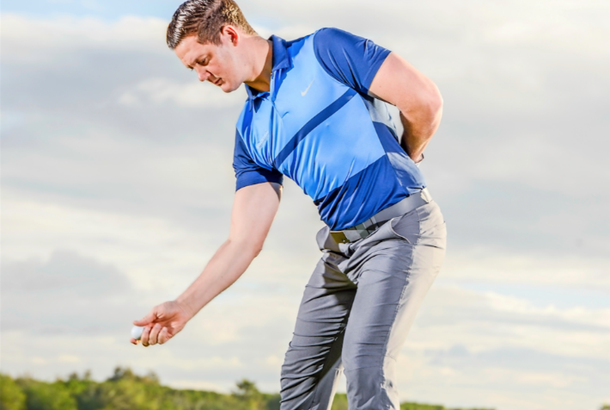 Start by holding a ball in your trail hand, and fold your lead arm behind your back. Take your golfing posture. Many club players lose speed because they fail to engage those powerful lower body muscles at the start of the process. You'll remain side-on to your target as you release the ball. Driven by arm power alone, the ball will end up being thrown weakly left of "target". After you've got used to developing speed through your throwing action, move on to a club. 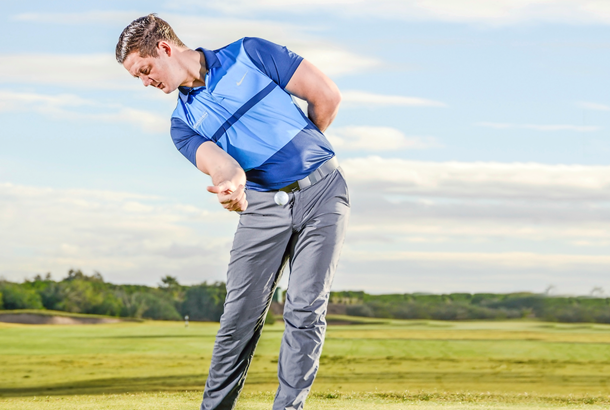 Grip your driver and make a practice swing, inside the ball. Just aim to replicate a ball-throwing motion, even looking down the fairway. As with the throw, focus simply on developing speed – almost as if you are going to throw the club as far as possible down the fairway. Commit to this and you'll recruit those hip and glute muscles at the start of your downswing, adding speed to your motion. When you’re used to the feeling of that lower body- driven release, go ahead and hit the ball. That throw and the aggressive practice swing should be enough to remind your lower body of the leading role it plays in pulling the club through. Your twin feelings should be of your lead side clearing during the downswing, and the club arriving later at the ball. If you start to feel more side-on, with a weaker hand- arm release, return to that throwing drill to get your lower half more dominant.